Samsung’s HW-MS750, adds depth for even bigger sound. 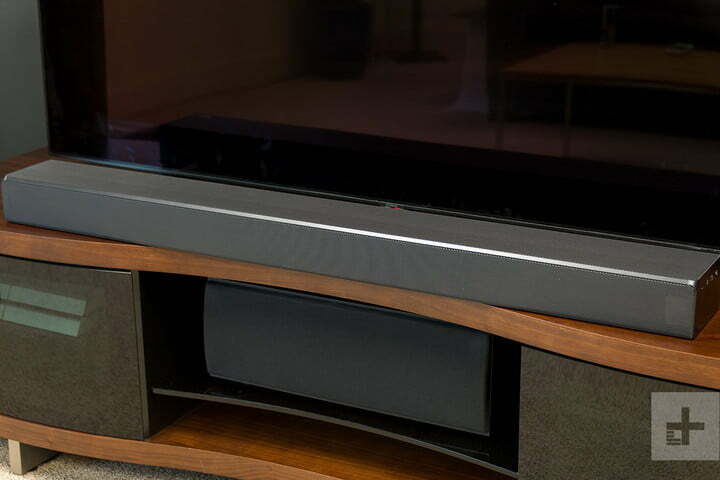 With the first soundbar to be developed out of its brand new audio lab in Valencia, CA, Samsung went big, delivering the HW-K950 5.4.1 Dolby Atmos bar, complete with multiple wireless speakers and up-firing drivers for immersive 3D sound. Like an indie musician, Samsung flipped the playbook for its follow up, creating an intuitive, all-in-one system in the HW-MS650 Sound+, hitting the soundbar sweet spot with hassle free setup and operation, and impressive performance for those eyeing a minimalist system. As such, it was somewhat puzzling when Samsung unveiled the MS650’s pricier sibling, the HW-MS750 Sound+, which keeps the single-unit design (i.e., no separate subwoofer included), but adds up-firing drivers at a premium that pushes the cost well over the $500 line. Not quite an Atmos system, but more than a straight-ahead soundbar, the MS750 aims to keep the MS650’s sound signature and design, while boasting a more expansive overall soundstage. 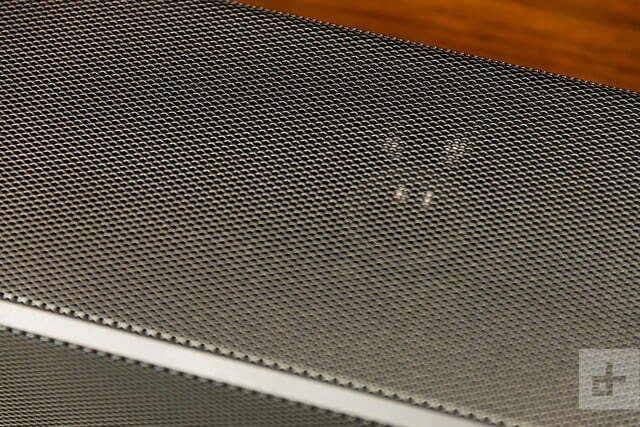 In our MS750 Sound+ soundbar review, we ask the obvious question: Is it worth the extra scratch? From its weight, to its size, to its Kit-Kat bar design, you’ll be hard pressed to find a notable difference between the MS750 and its predecessor upon first inspection; you’d have to set them up side by side to notice the MS750 is a few inches longer. Looking closer as you pull the bar from its rectangular box, the MS750’s dual drivers sunken below a plastic mesh grill on the bar’s topside outline the only obvious differentiator between the two. Another minute difference is the MS750 offers not one but two HDMI inputs, allowing you to run both a Blu-ray player and a gaming console through the unit to your TV like a receiver. As with the MS650, accessories in the box include a single optical digital cable, a power cable with cable guide, batteries, and Samsung’s slick wand remote. At $550 MSRP, we would have liked to have seen an HDMI cable in the package, but no dice. Getting things going is an easy task — though, oddly, having a newer Samsung TV can actually cloud things a bit. 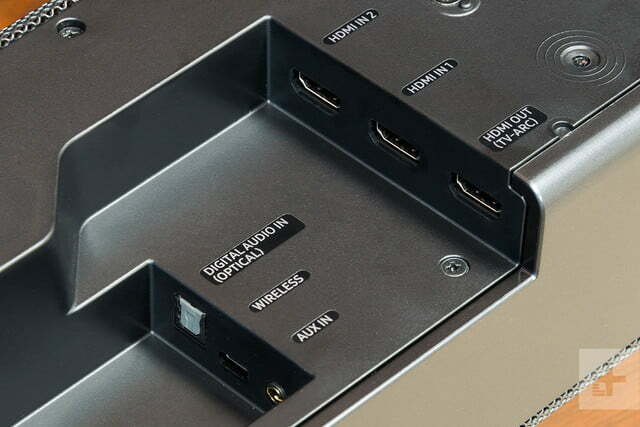 Our preferred connection is via the ARC HDMI port, which requires an HDMI cable connected to the ARC ports on both the bar and your TV. 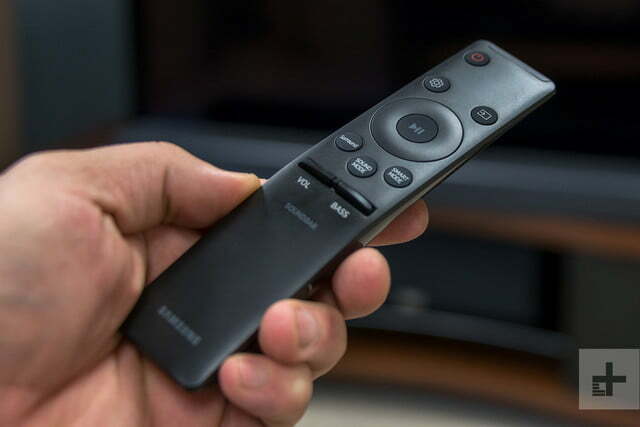 Depending on your TV, you may need to change the settings to output sound to external speakers as well as enable CEC control which, on most TVs, will allow you to control power and volume on the bar with your TV remote. Oddly, having a newer Samsung TV can actually cloud things a bit. Interestingly, on newer Samsung TVs like the Q9F QLED 4K TV, the bar will auto pair via Wi-Fi when you connect, but we prefer the HDMI connection, as the Wi-Fi is liable to stutter depending on your network’s signal strength. Frankly, we wish it would just auto-connect via HDMI, as we had to turn the TV off and then back on again to get HDMI connection to work properly. On the other hand, pairing the MS750 (or MS650) with a newer Samsung TV comes with some installation advantages, too, which we get into just below. 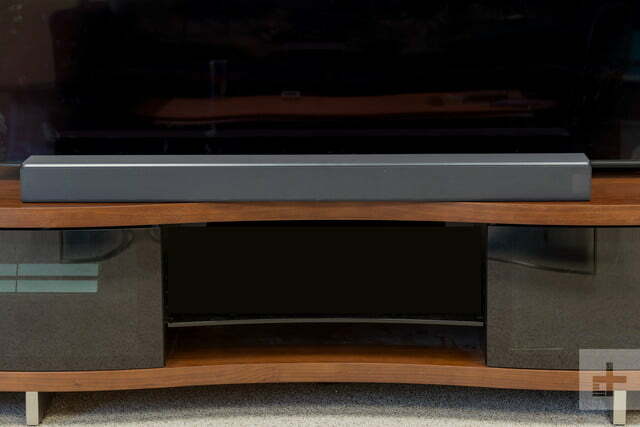 Like the MS650, you can also expand the system with Samsung’s SWA-9000S/ZA speakers or a Samsung subwoofer, both sold separately, though the unit unfortunately has no physical subwoofer output. Samsung sent along its SWA-W700 wireless subwoofer, built specifically for its Sound+ line, which is somewhat telling. Wireless connection is easy via instructions in each component’s packaging. 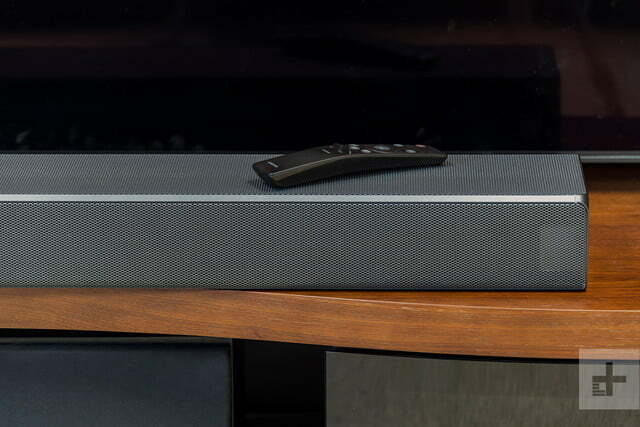 There are virtually no soundbars in existence more simply styled than the Sound+ line, carved into long black rectangles with little more than speakers peeking out, and on-board controls on the right face. Some faux-brushed aluminum on the sides adds a bit of class, but unlike the MS650, the MS750’s top panel is just a long slab of plastic mesh. Measuring over 45-inches wide and 5-inches deep, the MS750 is not the smallest bar on the block, and its 3-inch height can block some TV IR sensors, but shouldn’t be a problem for most designs. Inside, the system boasts 11 individually powered drivers, including the same nine-driver setup you’ll get in the MS650, plus two small drivers on the top panel for 5-channel audio (left, center, right, plus top left and top right). We do wish the system went beyond basic Dolby surround sound decoding for those who want to upgrade the system with more speakers, and like other Samsung soundbars, DTS surround decoding is not available. As we touched on above, inputs at the back panel include the ARC HDMI port and dual HDMI inputs with 4K/HDR passthrough, and you’ll also get digital optical input, and 3.5mm analog input. 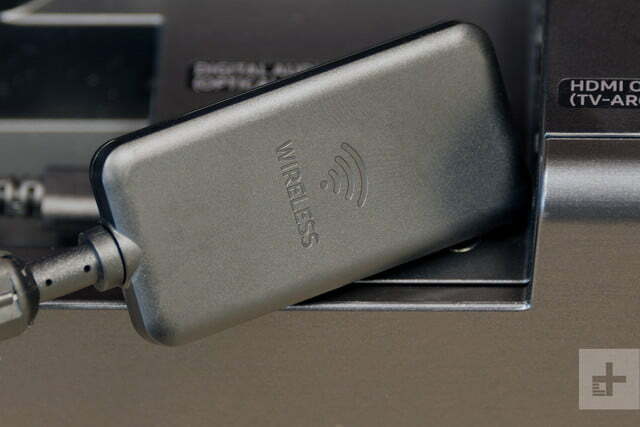 Wireless connection includes both Bluetooth and Wi-Fi connection. Connecting to your network allows for hi-res audio streaming, as well as connection to any of Samsung’s multiroom speakers via the company’s proprietary app for a whole-home sound system. As with the MS650, the MS750 also includes an LED display beneath the grill on the front and power outlet at the bar’s back panel which allows you to power select Samsung TVs, saving a wall outlet. There’s also a separate mounting kit to connect to your Samsung TV if you’re willing to stay in-brand. The system’s Smart Sound button automatically chooses the proper EQ for any source. There are few internal settings available via the minimalist remote for EQ or balance control, offering just Treble control for the sound signature and Front Top control for the up-firing drivers. There’s also an option for external speaker adjustment should you choose to add them, while adding a sub turns the remote’s handy bass key into a subwoofer controller. We would have liked to see more options, namely center channel volume for increasing dialogue clarity in surround mode. That said, the Sound+ line is built around simplicity first, and the remote’s Smart Sound button, designed to automatically choose the proper EQ balance for any source, works pretty well. The only controls we had to futz with on the remote included choosing between surround mode and standard, and adjusting basic bass and volume levels (the latter of which could also be handled with our TV remote). The remote’s center dial allows you to control streaming music playback from your phone. As we expected, the system sounds strikingly similar to the MS650, and in this case, that’s a good thing. For both music streaming and TV audio, the MS750 provides clear and present midrange and treble detail, and bass that’s a lot more potent than you’d expect for a setup that foregoes the wireless subwoofer common in the vast majority of soundbars in its price range. Firing up Doctor Strange on Netflix, we were once again impressed with just how big Samsung’s stand-alone design can get. As the shifting multiverse bends cities into pretzels, the MS750 digs up rich and defined upper bass to bring some authority to the table, while the upper register cuts the sparks from the fiery weapons the sorcerers conjure from other dimensions with clear distinction, drawing you deeper into the story. Engaging surround mode adds some real dimension to the picture as well, and unlike the MS650, we generally preferred to go big for the soundstage with the MS750 for a more potent wall of sound — especially in major action scenes. There are some impressive moments of surround movement at play here as well, and scenes like Strange’s first encounter with the Sorcerer Supreme are all the more trippy with the expansive sound engaged, including moments like her voice moving through the surround sound, which was pinpointed nicely in different areas along the front sound field. That said, the little drivers on the bar’s top panel can only do so much, and even when fed Dolby 5.1 surround, the spacing leaves something to be desired when it comes to surround sound immersion. Samsung is careful to note that surround mode simply adds “depth and a sense of space,” and to the company’s credit, that’s an apt description. The system offers clear midrange and treble, and bass that’s a lot more potent than you’d expect. What’s more, we occasionally had trouble with dialogue clarity when surround sound was engaged, especially in the most complex action scenes, forcing us to raise the volume at times to get the whole picture, and then lower it in heavier scenes. When it comes dialogue-driven content, such as Breaking Bad, we preferred to cut the surround mode for better clarity, reigning in the top-side channels for a more straightforward sound. Switching to our Guardians of the Galaxy Volume 2 4K Blu-ray, we had less trouble with dialogue clarity, and though upper midrange sound was just a tad thin and icy at times, there were plenty of shining moments, with deft clarity in the many zips, pulses, and squeaks of the clan’s spaceship and Rocket’s multiple gadgets. The quantum asteroid field scene provided a particularly fun moment, nailing the system’s sweet spot between gravelly bass and clear detail. That said, we still wished for a bit more punch in the center channel, something that could be an easy fix with just a bit more control over channel balance. 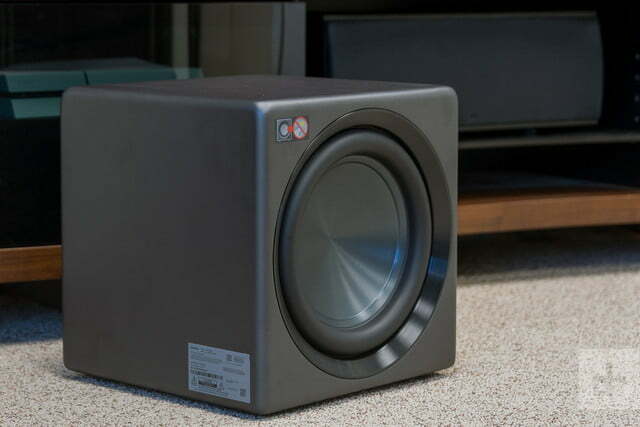 As you might guess, adding in the $400 subwoofer takes the whole system up a level (or more), as true guttural bass cuts through with an extra helping of authority, while the entire upper register is more balanced, rich, and clean as the drivers leave the very lowest frequencies to the bass professional in the room. We far preferred the system with the subwoofer overall, but then again, that drives the price into the stratosphere at $950 MSRP, which is just a couple hundred dollars below the powerful immersion of Samsung’s full-on Atmos machine, the HW-K950. Samsung’s HW-MS750 Sound+ soundbar is a step up from its Sound+ sibling, adding more space and depth to the soundstage. However, at $100-150 more, the extra dimension isn’t striking enough to justify the higher price for most users. Our obvious choice for those looking at a singular system is the HW-MS650, which offers a better balance between price, performance, and features. If you’re looking for a bit more thunder (i.e. 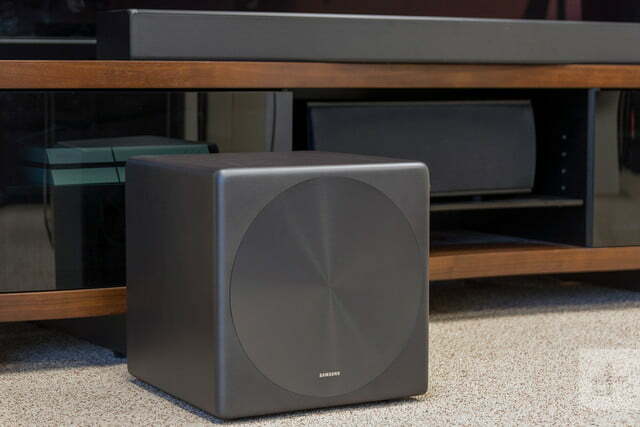 an included wireless subwoofer) there are also plenty of other choices, including the remarkably affordable Yamaha YAS-207, though you’ll have to sacrifice features like multiroom audio and dual HDMI connection. Our Best Soundbars list has a few other worthy choices, depending on your budget and desired feature set. Like the MS650, the MS750 is upgradeable with Samsung wireless components, and offers both 4K passthrough and HDMI connection for your Blu-ray player, game console, or cable/satellite box, all features which should allow the system to grow with your setup. The system is also solidly built, and has an air of quality, though we wish it was better equipped to decode DTS and Dolby surround signals. While you could do a lot worse for the money, in this case we’re going to recommend against pulling the trigger. There’s simply not enough here to justify the price rise over the MS650, while adding a sub or extra speakers quickly puts you close to the pricey HW-K950, but without the Atmos decoding. If you’re looking for a simple and intuitive stand-alone soundbar in Samsung’s lineup, the MS650 is the better way to go.